In 2018, customers ordered 75% of their pizzas using online pizza ordering systems. 61% of them used mobile devices. (source) In 2019, there will be even more such orders placed. What makes the online pizza ordering system project so effective? $95,413,000 – that’s how much the online food delivery market will be worth in 2019. According to forecasts, the value of this market in the upcoming 4 years could reach the level of $137,596,000. (source) This trend shows how popular ordering food online is, and how fast this tendency is growing. Your customers like to order food online. For them, it’s very convenient. If you don’t launch an online pizza ordering system, you will fall behind the competition. 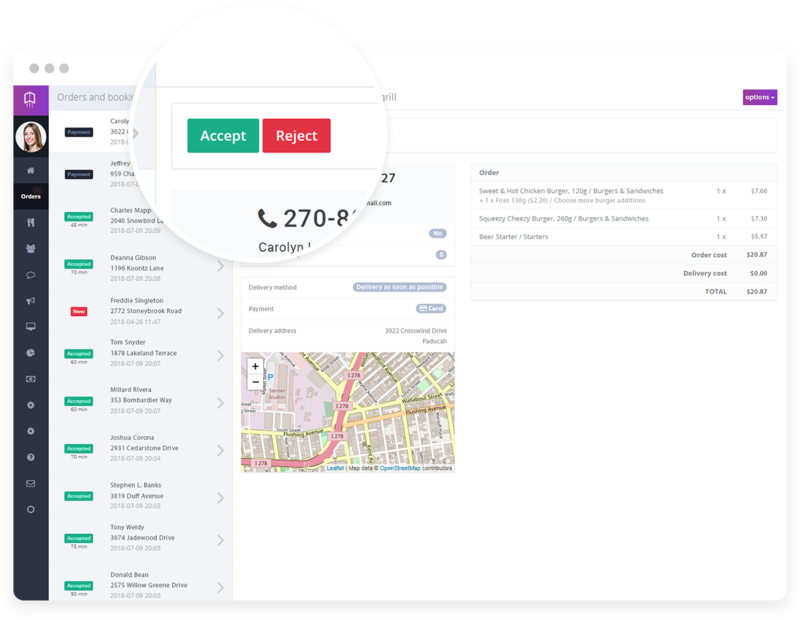 You wouldn’t want your customers to stop ordering from your restaurant only because you don’t have an online pizza ordering system project would you? Launch a mobile application for restaurants and be closer to your customers. Take advantage of the fact that 61% of orders placed via an online pizza ordering system are generated on mobile devices. A mobile application project for restaurants will be a new sale channel for you that will supply new orders and bigger profits while your customers will benefit from the huge convenience of ordering online! The restaurant mobile app works faster on mobile devices than restaurant websites and is more intuitive. Due to the above, your customers will be happier to order pizza at your restaurant again and again. Read more about mobile application for restaurants in the following article How does a restaurant mobile app with a delivery system work? Recommend new toppings for your pizzas and increase your profit! 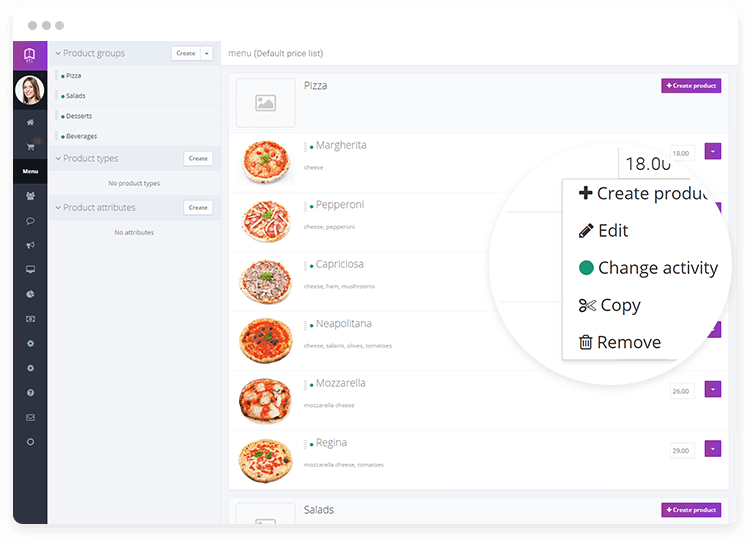 The UpMenu online pizza ordering system offers useful functions for you and your customers. Thanks to the possibility of configuring pizza toppings, your customers will be able to compose pizzas with their favourite flavours. You decide what toppings they can add to particular items in the menu. The easy settings configuration will help you save time. This method of customers choosing toppings will have a positive impact on the number of orders and increase your profit. Do you want more orders? It’s really simple! 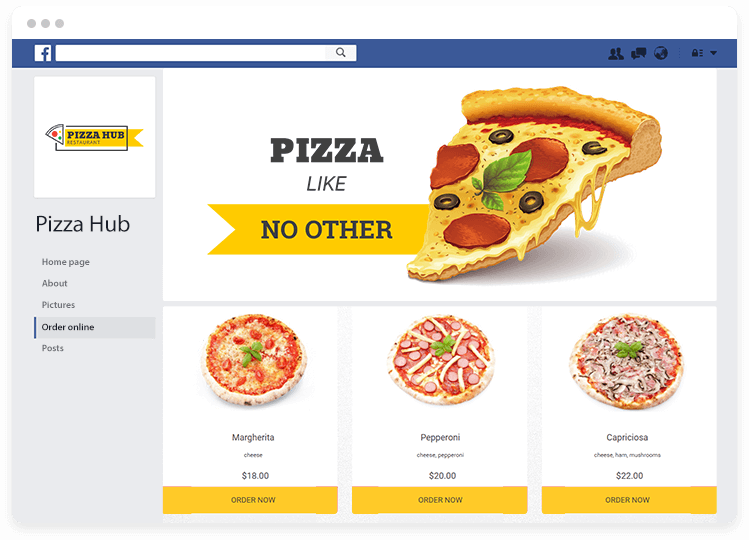 Launch the UpMenu online pizza ordering system on Facebook. There are over a billion people there, including your customers. Thanks to the Facebook ordering system they won’t have to leave social media to place an order. Save time. Forget about a busy line at your pizza place or mistakes when recording order details. 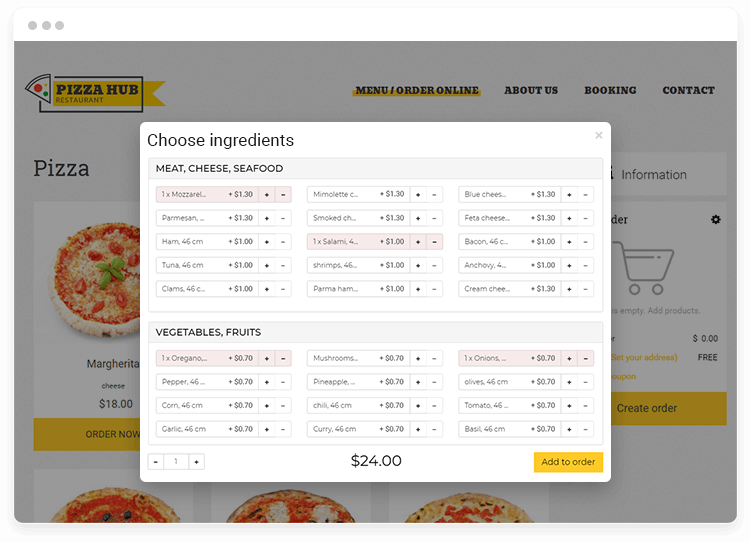 In the UpMenu online pizza ordering system project, each order can be collected with one click. This will help your employees avoid errors and enable them to spend more time on serving customers in the restaurant. 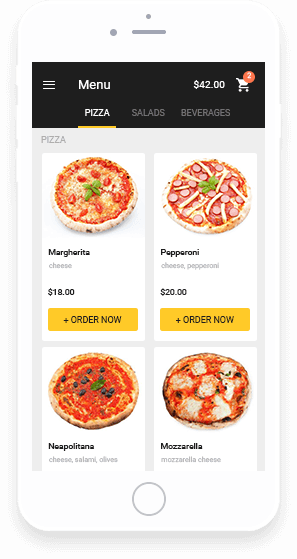 The UpMenu online pizza ordering system will help you define delivery zones precisely as well as the price for delivery and minimum order value. This way, you will make food delivery even more profitable for your business, and you will earn more. You can easily introduce all the changes by yourself. Similarly, you can create and configure the menu in a short time-period, without technical skills or the help of IT specialists. This way, you can save time and money. All changes will be visible immediately on the restaurant website and in the mobile application. Earn more with online payments! Did you know that 56% of all bills are paid online? (source) Don’t lose customers who don’t carry cash. 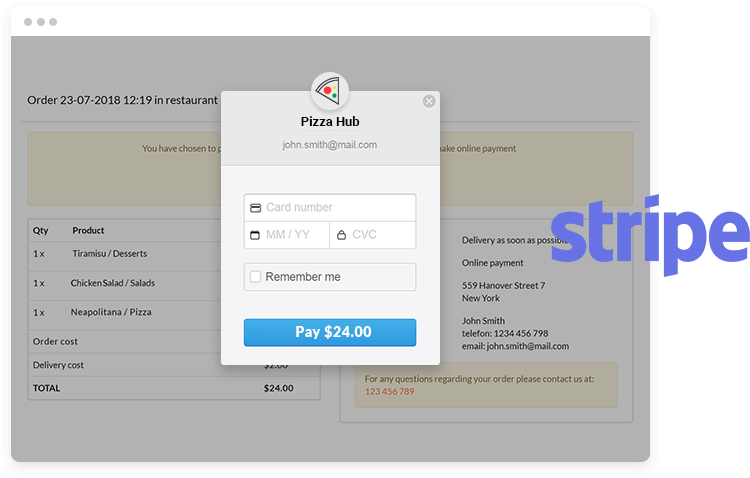 Choose the online pizza ordering system project and let your customers pay online. Increase the number of orders and profit at your pizza restaurant. 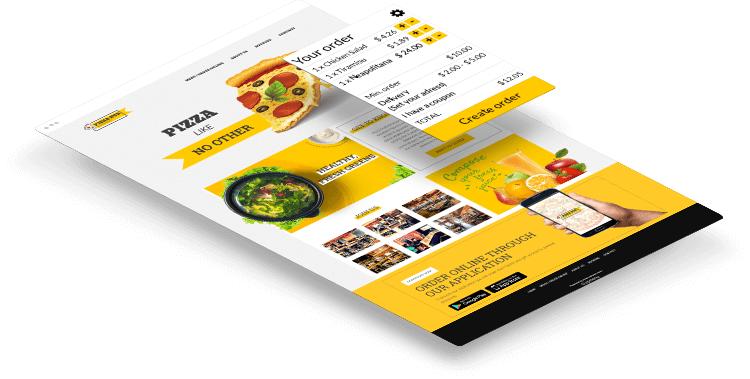 Choose a pizza website template or integrate the UpMenu online pizza ordering system with an existing restaurant website. Without the help of IT specialists and long waiting times for launching online orders. You can easily introduce all the changes by yourself. Thanks to a wide choice of pizza website templates and options for configuring templates, you can match your restaurant website with the brand of your pizza restaurant in just a few moments. This way, you can save time and money. 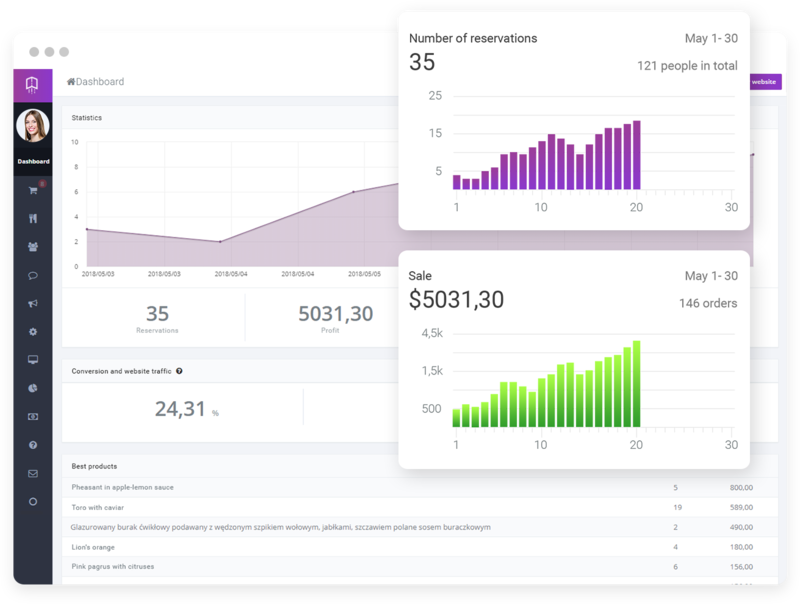 Using the UpMenu online pizza ordering system project, you can make more conscious business decisions, based on actual data. The UpMenu system will automatically generate the required reports for you. React to them and change the menu and products accordingly. Earn more. 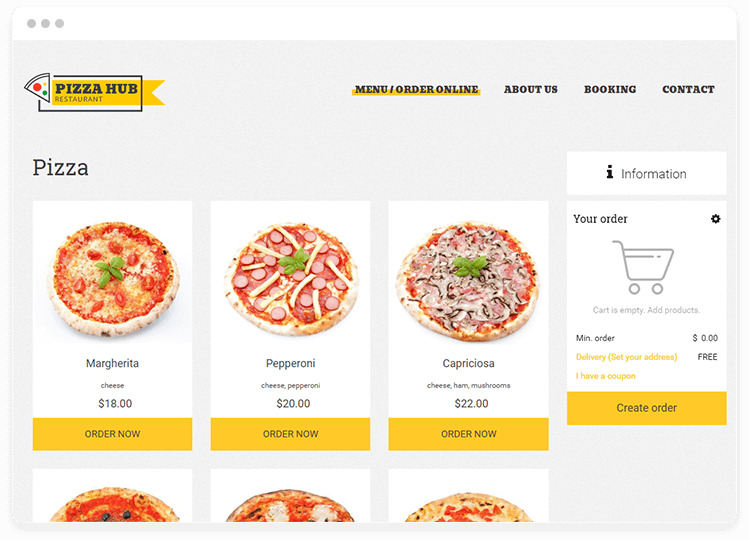 The UpMenu online pizza ordering system project will ensure huge convenience of use for you and your customers. They can order easily while you can choose from the pizza website templates and create a website, launch an online pizza ordering system, and increase your profits.